Classy Craig enhances craigslist by refining the design and adding powerful new features that save you time & money. Classy Craig runs on Google Chrome. Classy Craig runs on Google Chrome for desktop. 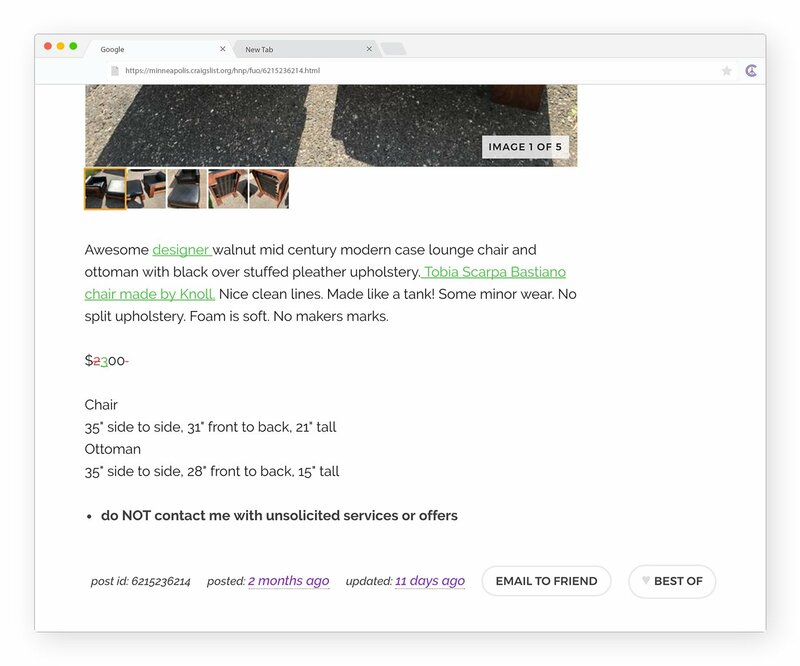 Craigslist is successful in its no fluff, fast loading, and simple design. 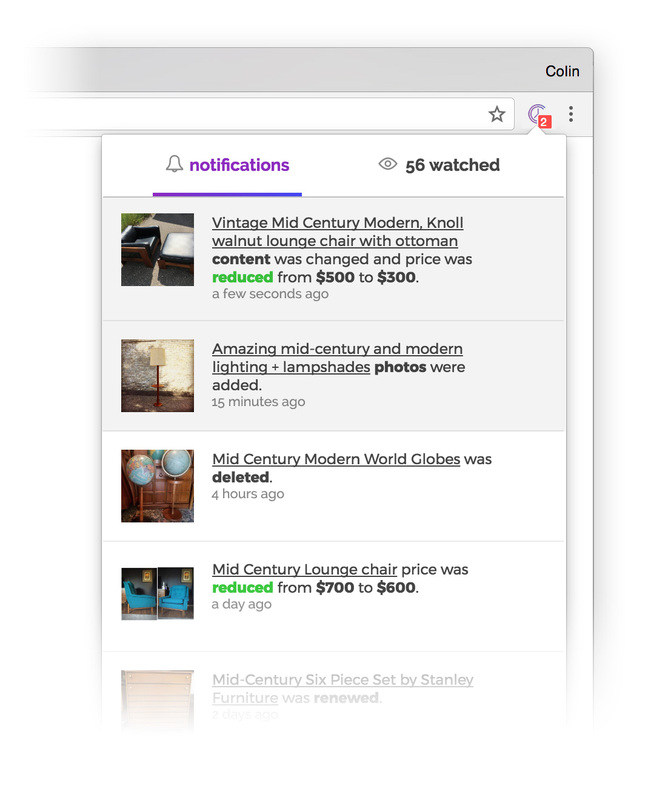 Classy Craig preserves what makes craigslist great while refining and polishing the look. 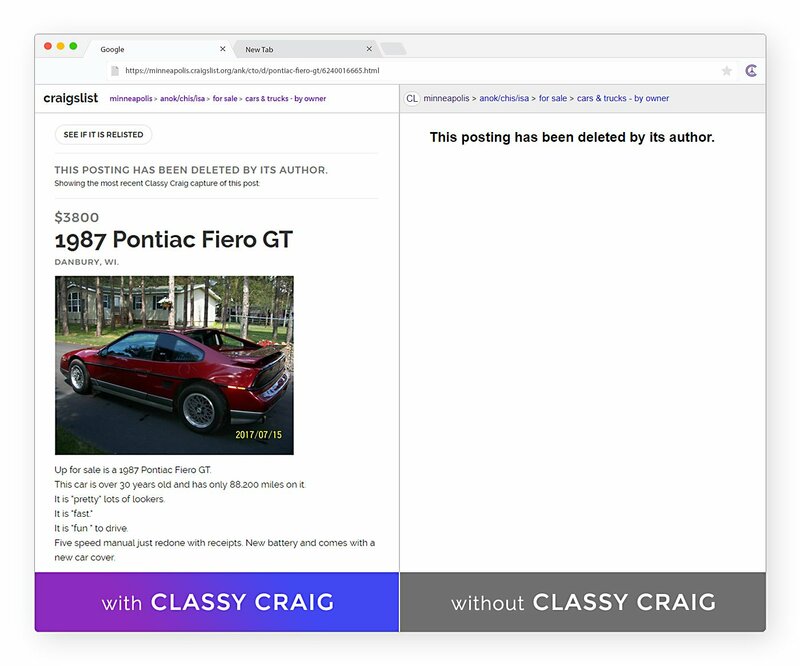 Once you add Classy Craig to Chrome you can continue browsing craigslist.org as usual, but with improved scannability, less bugs, and a more enjoyable experience. Interested in a post but not quite ready to pull the trigger? Watch the post and easily come back to it later. Classy Craig will keep an eye on it for you too! When a post is in your watch list Classy Craig will monitor the post for changes. If Classy Craig determines that a post was modified or removed it will notify you about what changed. Classy Craig checks all of your watched posts for changes once a day. Upgrade to Classy Craig Pro to check up to 96 times a day. 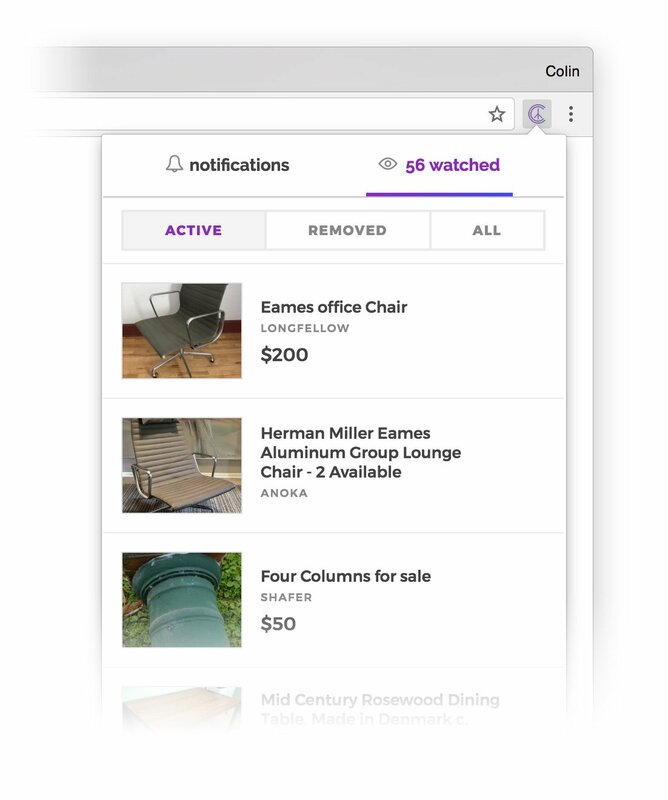 Easily view and sort watched posts in your watch list. Even when posts are removed from craigslist you are still able to see them in your list. Posts get updated all the time. 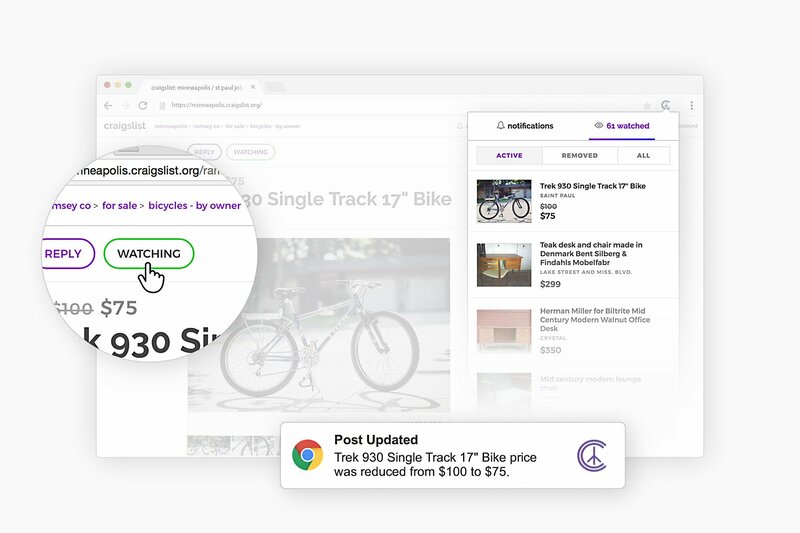 Be the first to know when a seller drops the price of an item! If you are watching a post and it gets removed Classy Craig will inject the most recent content that it captured for that post back into the page. If the content of a post gets revised Classy Craig will show you what changed. New content is highlighted in green, removed content in red. Toggle the comparison on and off! Or learn more about our paid plan. We are not affiliated, associated, authorized, endorsed by or in any way officially connected to craigslist, Inc.